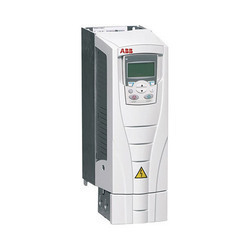 Ac Drive Of Abb, L&T, Danfoss, Kinko, Fuji, available on stock. 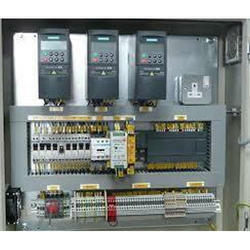 EMBICON is the Leading supplier of Varispeed AC drives of L&T yaskawa. L&T Yaskawa drives are rugged, reliable and easily adaptable to a variety of applications like Fan, Pump, Compressor, Conveyor and many more. our drives with flux vector control provides enhanced performance and substantial energy savings have been achieved by various users. Our Drives are designed for optimal efficiency and productivity and are known for their ease of use, compactness, robustness & other powerful features.Various models are available to perfectly suit your applications. 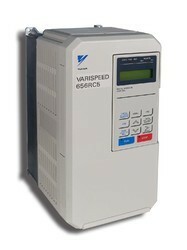 VARISPEED is the first general-purpose inverter in the world to feature the 3-level control method. Varispeed AC drives from L&T are rugged, reliable and easily adaptable to a variety of applications like Fan, Pump, Compressor, Conveyor and many more. Available up to 6000kVA, L&T drives with flux vector control provides enhanced performance and substantial energy savings have been achieved by various users. L&T Drives are designed for optimal efficiency and productivity and are known for their ease of use, compactness, robustness & other powerful features. 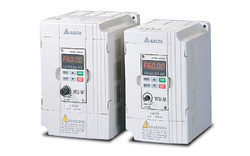 G5 Series is a full scale flux vector control (or Adaptive vector control, AVCTM) AC drive. It is the ultimate drive for a wide range of applications. With it's extensive features it is ideal for use as a standalone drive or as part of a system and offers smooth start up from low speeds. 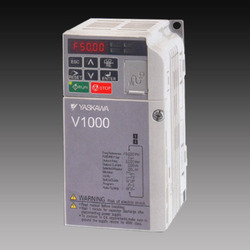 V7 Series is available in the 200V and 400V class is a new generation micro vector inverter from LT-Yaskawa. G7 Series is the first general-purpose inverter in the world to feature the 3-level control method. 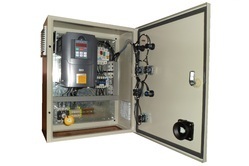 E7 Series (NEW) is a variable torque AC drive, designed exclusively for HVAC applications in building automation, including fans, blowers and pumps. We are leading supplier of major brand ac drive for diffrent application for crane, normal machine, heavy duty and service work. 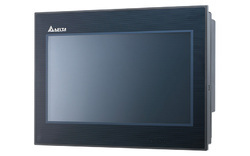 When you need simplicity and intelligence in one self-contained solution the ACS550 covers a wide range of options. Ideal for variable and constant torque applications from pumps and fans to conveyors and mixers as well as many other variable and constant torque applications. Enjoy plug and play convenience right from the start. No customizing or special product engineering required. Monitor your savings easily with the built-in counters, which display energy savings in kilowatt hours, carbon dioxide emissions or local currencies. Manufacturer part number is ATV312H075N4. Previously sold under the Telemecanique brand. Replaces the Altivar ATV 31.
he A1000 is a full featured drive, providing outstanding quality, performance, flexibility, and environmental friendliness through 1000HP. 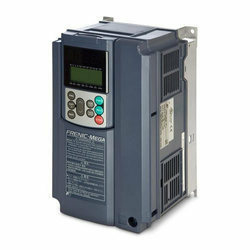 Enjoy network communications, feedback, and expandable I/O to control anything from simple fans and pumps to complex machines. 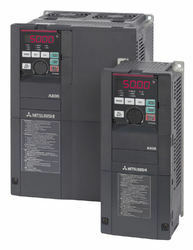 For new installations or retrofits, the A1000 provides a single robust solution, regardless of your application. For more product packages, see A1000 Configured. 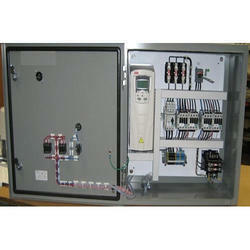 We are a leading manufacturer or a different type of Power AC Drive Panel with torque control and service work. for crane for special purpose machine, pid loop panel and variety of work. High performance and high-quality new inverter of the highest level. The FR-A series offer the best drive performance in the FR series. The enhanced Real sensorless vector control and vector control serve the needs of all machinery types. High performance and high-quality new inverter of the highest level. With the enhanced drive performance and usability, the inverter is compliant with applicable safety standards. What is required of inverters in this constantly changing world? At Mitsubishi, we have pursued the answer to this question through constant innovation and evolution. and a wealth of functionality covering startup to maintenance. We utilized the traditional Mitsubishi philosophy to further perfect our inverters. Line control is necessary for the machining of elongated products such as paper, thread, wires, all kinds of sheet, and tape. 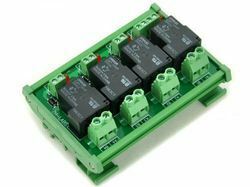 This will respond rapidly to changes in line speed and suppress the occurrences of winding unevenness. This contributes to a steady supply of high-quality products. Cutting-edge machine tools are harder and thinner than ever before to be applicable to diverse new materials. High-speed rotation is required more than ever before in order to be applicable for fine and precise cutting on hard and difficult-to-grind materials. Real sensorless vector control 200% (ND rating)*4, Vector control 200% (ND rating)*4 (150% of initial setting for 5.5K and higher). Cranes are in operation daily at ports carrying fully-laden containers in response to strong demand from all over the world. Our new inverter realizes smooth cargo handling work at low speed and high torque for the slow and stable movements required for heavy objects. What Is a Permanent Magnet (Pm) Motor? A PM motor is a synchronous motor with strong permanent magnets embedded in its rotor. The two major PM motor types are: the interior permanent magnet (IPM) motor with its magnets embedded inside the rotor.